Queer musician Nikole Potulsky says her kids inspired her new album. 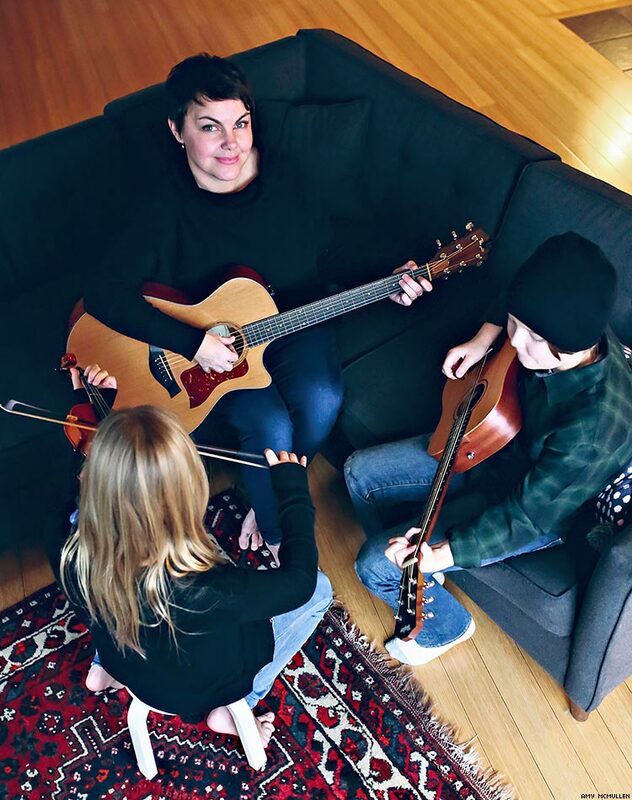 Singer-songwriter Nikole Potulsky says her two kids (8-year-old Violet and 10-year-old Oskar) are a constant source of inspiration — and often when she least expects it. On the heels of her debut album, You Want to Know About Me, the country and blues musician recalls a life-changing conversation she had with her son. After a particularly long and exhausting day, Oskar asked his single mom if she had always known she wanted to be a singer. Potulsky’s decision to follow her dreams continues to prove itself fateful. Just days after we spoke to her, Potulsky signed with legendary manager, Chevy Nash, who has worked with Dolly Parton and currently manages jazz-gospel singer Oleta Adams, and out country star Shane McAnally. Potulsky, who says she “grew up in small towns, at the kitchen tables of working women” who taught her to read cards, listen for deeper meaning, make her own money, “and never back down,” chronicles the lives of these same women (from grandmothers to outlaws) in her new album, connecting their stories of rebellion and resistance to her own life as an LGBT justice organizer.